Have a question? Need help with an assignment, study strategies, or tech assistance? 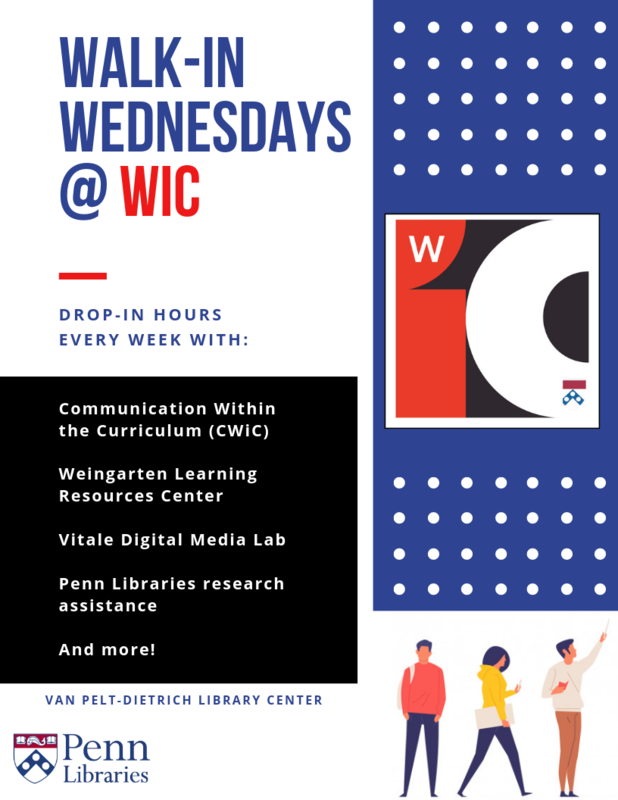 Come by every week for Walk-In Wednesday at the Weigle Information Commons in the Van Pelt-Dietrich Library Center! Learn more about all of our Student Assistance Services partners here. Contact ahnberg@upenn.edu for questions about this event.